Joel Greene here from Condo Hotel Center. Back when I was a kid, I was an avid fisherman. I remember rolling up my spit-covered balls of bread, applying it to the hook with masterful skill and then carefully dropping my line. Usually within minutes, I’d hook one of those fierce blue gills with piranha appetites. I’ll have you know some of those scaly beasts I reeled in were as many as three to four inches and took more than a few minutes for me to wrestle into the boat; I kid you not. 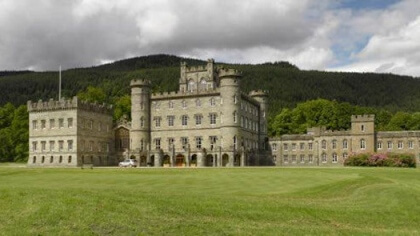 Well, if you have a thirst for the mano-a-mano battle with the big ones like I did, you are going to love today’s featured property. 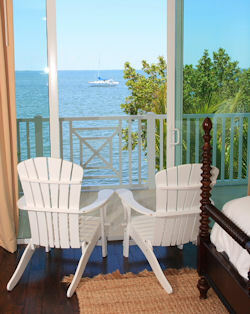 It’s a private residence club on the water in one of the world’s best sport fishing grounds, the Florida Keys. And if that doesn’t tempt you, perhaps the chance to own a property where a great former NFL coach hangs his fishing cap has appeal. The private residence club includes six luxurious, waterfront homes. Imagine owning a $2+ million, island-style, three-bedroom, waterfront home. It’s fully-furnished, comes with lavish amenities, plus grants you the exclusive use of a private boat to go fishing, diving, or sunset cruising. 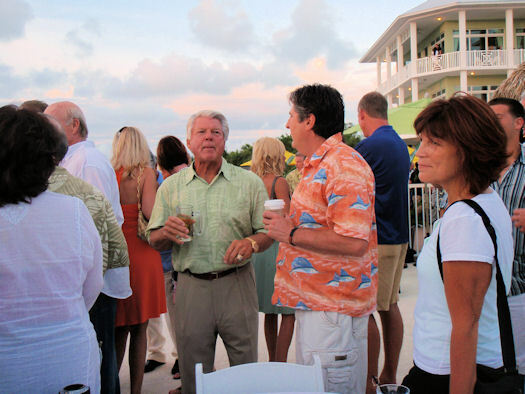 It’s all yours to enjoy with family and friends forever at Jimmy Johnson’s Fisherman’s Cove. If sunshine, swimming, fishing and a laid-back lifestyle appeal to you, you’ll love Fisherman’s Cove. Sounds great, doesn’t it? All but the $2 million price tag. Well, don’t let that scare you, because there is no reason that you need to pay that kind of money for a vacation home that you will only use a part of the year. The homes have 2,300 sq. ft. of living space and are fully furnished and professionally decorated. You can become one of only 48 members of the Florida Keys’ first and most exclusive private residence club. 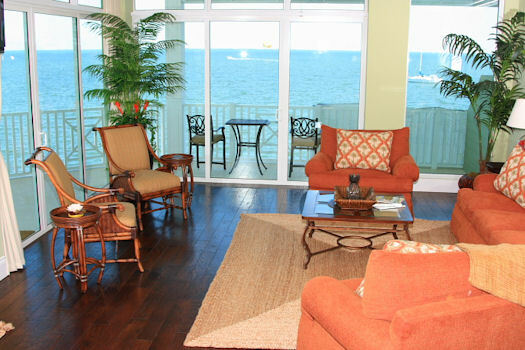 It offers deeded fractional ownership in six luxurious waterfront residences. And instead of paying $2 million, you’ll pay a small fraction of that and have an opportunity to use the home for an unlimited amount of time each year, subject to availability. 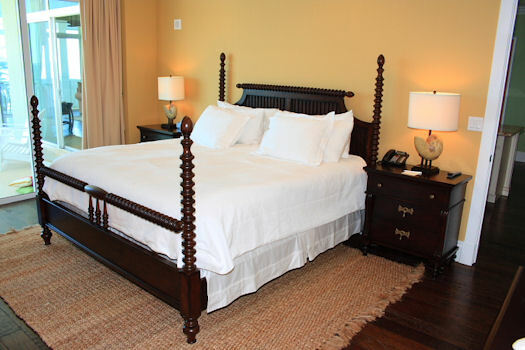 Jimmy Johnson’s Fisherman’s Cove captures everything you’d want in a vacation home. 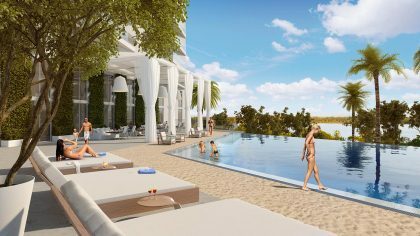 Designed to make you feel comfortably pampered, each residence combines modern luxury with old Florida charm, and reveals panoramic windows and large private balconies that offer stunning water and sunset views. Throughout the 2,300 square feet of living space are hardwood and marble floors. 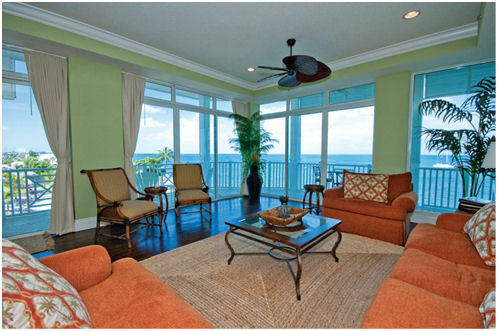 The homes are professionally decorated and fully furnished in Tommy Bahama island style. In the gourmet kitchen, you’ll find stainless steel appliances, granite countertops, custom wood cabinetry and casual bar seating. 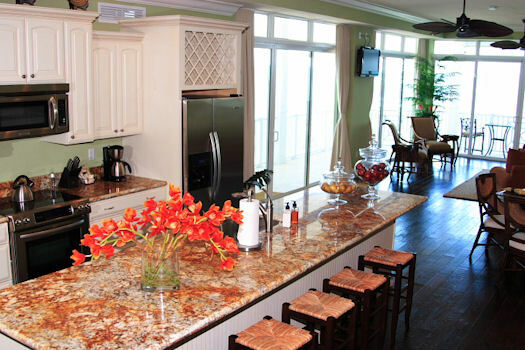 The resort’s pool and spacious sun deck offer opportunities to work on your Florida tan. Can’t you picture yourself now, coming in after a day on the flats, fighting Tarpon, Bonefish and Sailfish? You stroll up to the bar, order a bucket of beers, oysters on the half shell and some chicken wings. Then, you notice your new pal and tip your fisherman’s hat to your buddy Jimmy and invite him on over after he says goodbye to Terry Bradshaw and Jason Taylor. Sounds awesome, huh? And yet it’s not so far-fetched. In the off-season, Jimmy visits the property 2-3 days a week, signs autographs and takes pictures. Often, when he comes, he brings his ESPN, FOX and celebrities buddies with him. 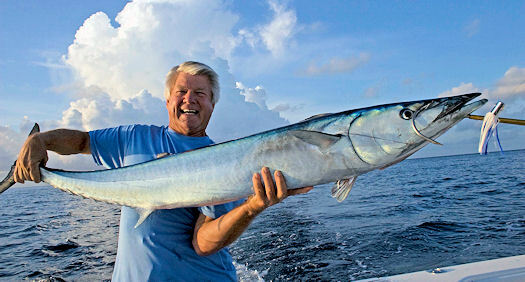 Jimmy Johnson shows off one of the day’s catches in the waters near Key Largo. They say that the best two days in every boat owner’s life are the day you buy the boat and the day you sell it. Well, at Jimmy Johnson’s Fisherman’s Cove, that expression doesn’t hold salt water. Residents have all the thrills of owning a boat without all of the headaches. They share ownership of the resort’s fully-maintained, high-performance boats, ideal for fishing, family outings or a sunset cruise. The Florida Keys are world-famous for their magnificent sunsets. The friendly, reliable concierge at Jimmy Johnson’s Fisherman’s Cove will stock your boat with sandwiches, ice and drinks, a well of bait, fishing charts and a full tank of fuel. And at the end of the day, you simply dock the boat and walk a few feet to your luxury home. The club handles all the cleaning and maintenance of the boats so your excursions are truly carefree. That leaves you more time to shmooz with the others at the private rooftop owners’ lounge with jetted tub or take a dip in the resort-style swimming pool. 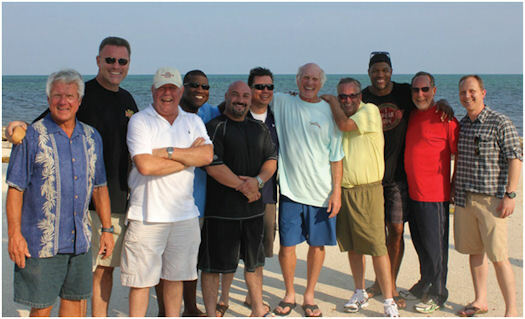 Jimmy Johnson hanging around with some of his buddies from Fox TV. 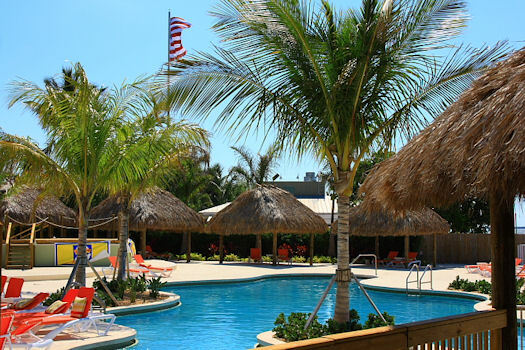 Of course, you could hit the state-of-the-art fitness center; but hey, you’re on vacation, so why not head on over for some waterfront dining, frozen drinks and live entertainment at Jimmy Johnson’s Big Chill, the hottest spot in the Keys to cool off. And, if you prefer, you can always watch your favorite teams on a multitude of flat screens and chat some football with the regulars. 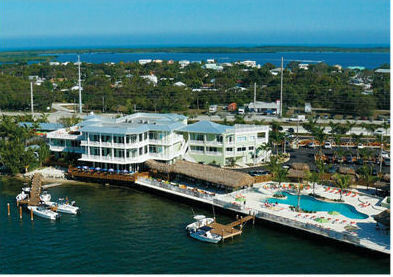 If you are interested in upscale, laid-back living with all the frills and none of the upkeep hassles of second-home ownership, Jimmy Johnson’s Fisherman’s Cove in Key Largo is for you. Each of the homes is designed to take advantage of incredible views of the ocean. You can look forward to carefree, unforgettable escapes to one of the world’s premier vacation spots. With Florida Bay on one side and the Atlantic Ocean on the other, you’re always surrounded by fantastic views and thrilling water adventures in Key Largo. 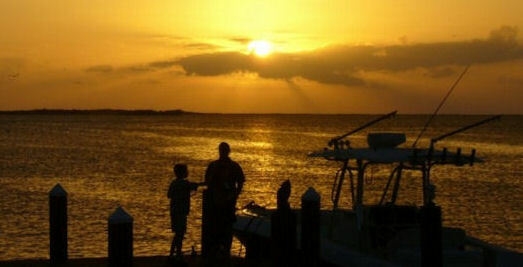 You can battle the Kingfish and Sailfish or simply take in the awesome sunsets. Then kick back and relax over a round or two of Rum Runners and Bahama Mamas. The gourmet kitchen includes granite countertops, custom wood cabinetry and casual bar seating. Currently, 1/8 fractions are yours for only $250,000. But that’s before applying a $25,000 buyer’s credit at closing for Condo Hotel Center customers who enter a contract before October 1, 2011. And if you purchase before September 15, 2011, we’ve negotiated one year of complimentary HOA fees for our customers. Financing for up to 50% of the purchase price is available and closings can take place within 45 days of signing the contract. 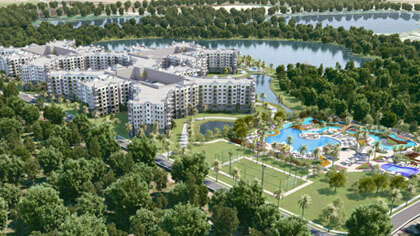 Fractional ownership costs $250,000, and you get a $25,000 discount if purchased before Oct. 2011. When you are one of the fortunate 48 owners at Jimmy Johnson’s Fisherman’s Cove, all the stresses of everyday living will be cast to the warm sea breeze. Enjoy your luxurious vacation home with friends, family, even your favorite realtor, who’s just an hour away and could use a day out of the office. Just bring him out on the boat with you, put a cold one in his hands and ask him to impart his vast array of bread-rolling knowledge to help you land the monster fish you’ll be talking about for years. Want to know more? I’ve put together a comprehensive data sheet on Jimmy Johnson’s Fisherman’s Cove that has all the details. Just provide your name and contact information, per the developer’s requirements, and we’ll send it right out to you. Then, I’d welcome the opportunity to arrange for you to see the property. Request Jimmy Johnson’s Fisherman’s Cove data sheet here. Remember, the $25,000 credit and free HOA for the first year is only available for a limited time. If you’d like to visit the property for a tour, you can take advantage of the Owner’s Preview Stay program. 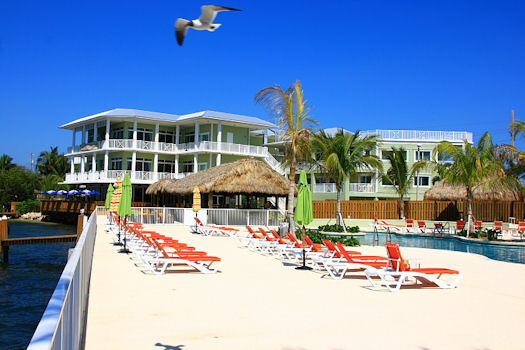 Spend three days and two nights at Jimmy Johnson’s Fisherman’s Cove for just $750. If you then purchase a fractional, that amount is credited back to you. Contact me today to arrange a visit. I know you’ll love it! Pool Party at the Big Chill with Jimmy Johnson and some other grid iron greats. Please feel free to pass along this Property Alert to anyone you think might be interested in a Key Largo vacation home. And, if you want to see our listings in other cities and states, visit our Featured Properties page. As always, thank you for your interest in the properties we showcase at Condo Hotel Center. Have a sunny Florida Keys kinda day!